The Kiowa word I know for “reporter” is Khoot piah-gyah Maw-tame-Kxee. The rough English translation is “one who teaches with a newspaper.” As an enrolled member of the Kiowa Tribe and the associate editor of the High Country News Tribal Affairs desk, I see my role as a journalist often as one of an educator. However, that outlook may also stem from my family history. My father is a doctor: the first Native American to graduate from Dartmouth Medical School (Sarah Dye was the other graduate that year, but according to my dad, his last name started with “A” so he walked across the stage before she did). His father hitchhiked more than 100 miles every day to earn his teaching certificate while his father was a student of Carlisle Indian School and Hampton University, and an interpreter, policeman, educator, church man and farmer. The stories of the generations even further back are other stories for another time — as are the stories of the rest of my family doing amazing work in their fields. On the Wind River Reservation in Wyoming. I come from a line of individuals concerned with justice, education and the welfare of others. Ours is a story of resilience, strength and pride. It’s also a story that rarely appears in American narratives — as a new report by the organization Reclaiming Native Truth has so aptly pointed out. According to Reclaiming Native Truth, Americans have limited experience with Indigenous people but tend to accept erroneous narratives often rooted in myths and stereotypes and reinforced by film, media and school lessons. Indian gaming and free government benefits were among some of the most prevalent, incorrect and bias-inducing narratives about Native people. Only 34 percent of Americans believed that Indigenous people faced discrimination. Researchers also found that a lack of personal experience with Native people helped fuel negative narratives while invisibility and erasure continued to create one of the biggest barriers for Indigenous communities. What surprised researchers was that 72 percent of respondents believed it was necessary to make changes to K-12 curricula in regard to Native American history and culture. As a child, I never saw myself or my family in the stories so common about Native Americans on television or in magazines. Those Indians were emissaries of a vanishing race. They were museum relics. Shamans. Alcoholics. They were stories completely foreign to the world I knew. In the United States, media has played a crucial role in challenging or preserving attitudes toward Indigenous people, and so far, the inclination has been towards preservation of stereotypes. The relationship between mainstream journalism and Indigenous people often follows a pattern of stereotyping: the malignant view that Indigenous people are unable to adjust to the modern world and on the verge of disappearing. Non-Indigenous photographers and writers have built high-profile careers by successfully exploiting those ideas while reporters from CNN to the BBC to the New York Times have almost exclusively covered stories that concern dismal living conditions, dying languages and cultures, or problematic statistics. There’s also a healthy dose of mysticism sometimes. “Life, even by the grim standards of the typical American Indian reservation, is as bleak and punishing as that of any developing country,” the Times continued. 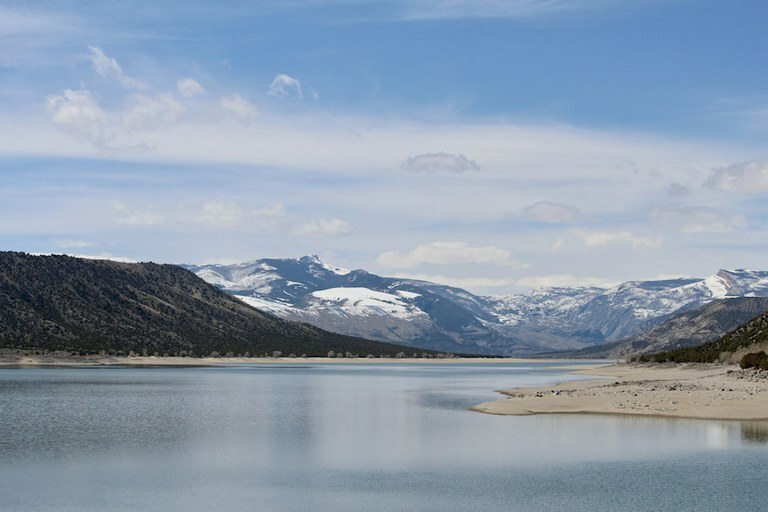 Wind River, by the Times estimation, was a dismal place. The long list of statistics said so much, and the numbers pointed to only one true fact: senseless violence was a central part of Native lives. There is a problem with crime on Indian reservations, but the facts lead to startling conclusions. First, according to the Department of Justice, nearly 60 percent of Native American crime victims describe their attackers as white; the Government Accountability Office reported that more than half of all violent crimes committed in tribal communities were declined for prosecution by state or federal authorities. There’s a reason for that last fact: State or Federal authorities usually have criminal jurisdiction over Indian Country crime, not tribes, and when non-Natives commit crimes in Indigenous communities, tribal authorities typically lack the jurisdiction to arrest or prosecute. When it comes to the complexities of Native American life, “ghosts” are, apparently, reasonable explanations for complicated situations. At HCN, we want ethical, accurate reporting on Indian Country; not stereotypes. I have had the good fortune to work with Graham Brewer and Anna V. Smith on the award-winning HCN Tribal Affairs desk for nearly a year and am looking forward to another. It will be our mission to tell stories that accurately reflect the realities of Indigenous communities: That means both the good and the bad. It is our pledge to do it ethically, accurately, and to be fair to our subjects and sources. After all, we are part of the community too, and accountable to our friends and relatives for the actions we take and the stories we write. Want to help? Pitch us. I hope you’ll join the report’s authors as well as the rest of Indian County to support new narratives and new storytelling that reflect both the beauty and resilience of Indigenous communities. At HCN, we hope to be a small part of that effort.